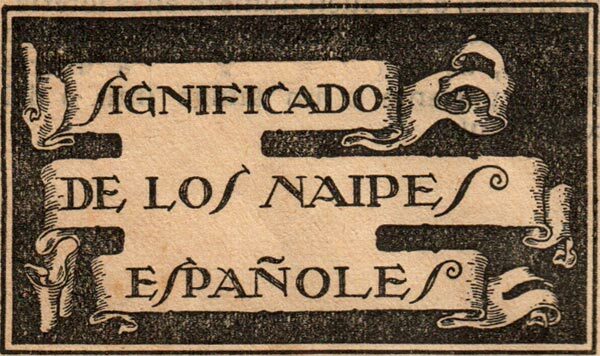 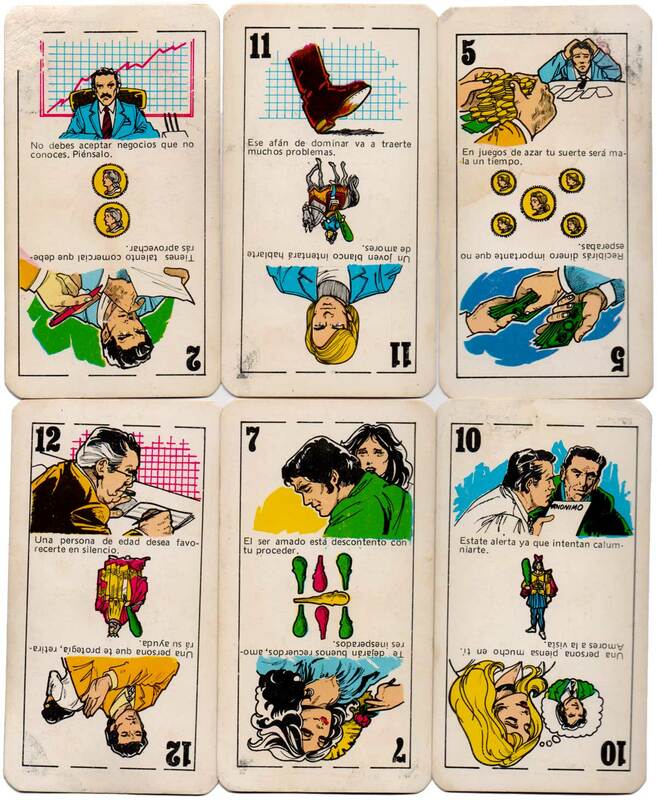 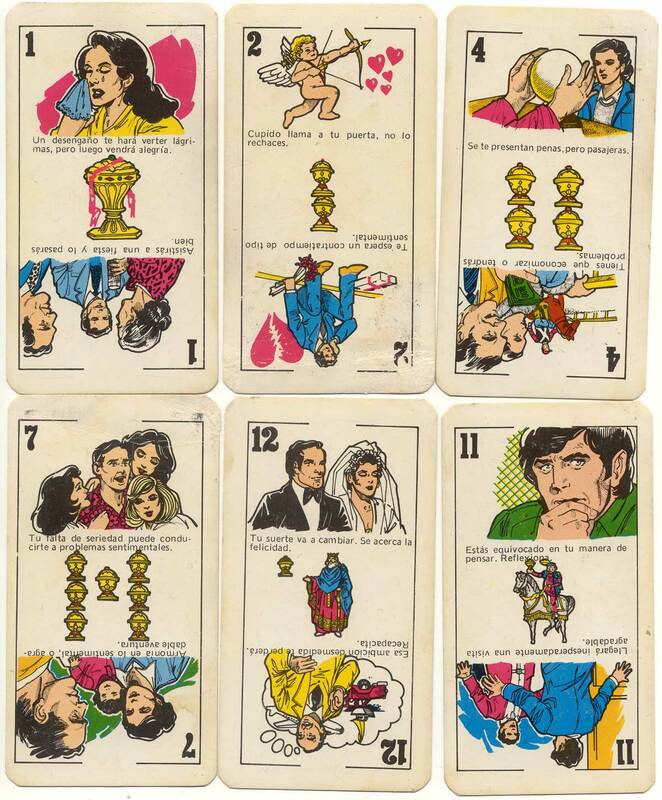 Naipes TU DESTINO Cartomancy Cards by Zandrox Producciones, Miraflores, Peru, c.1975. 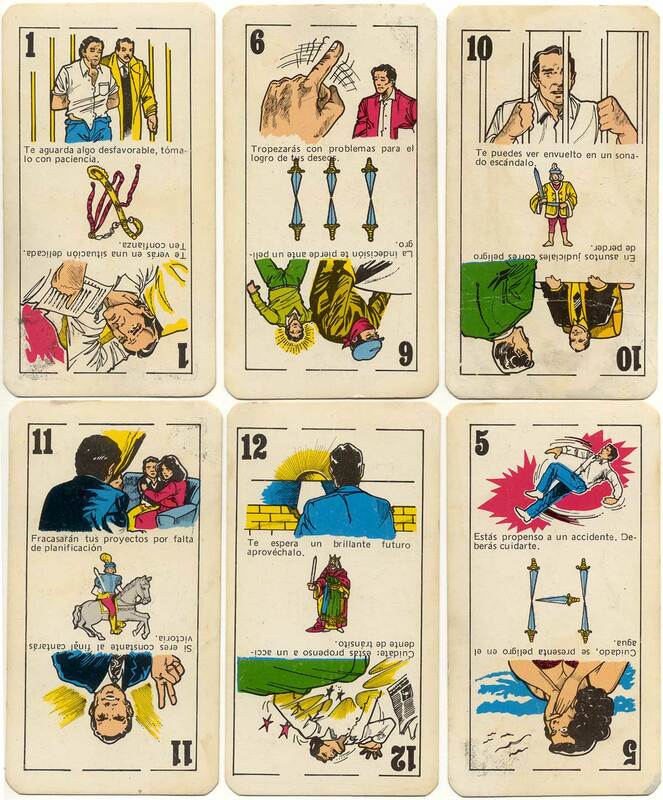 40 large-sized cards in box, with dramatically illustrated divinatory interpretations at each end, intended to foretell your destiny in matters of love, finance, health, travel and business. 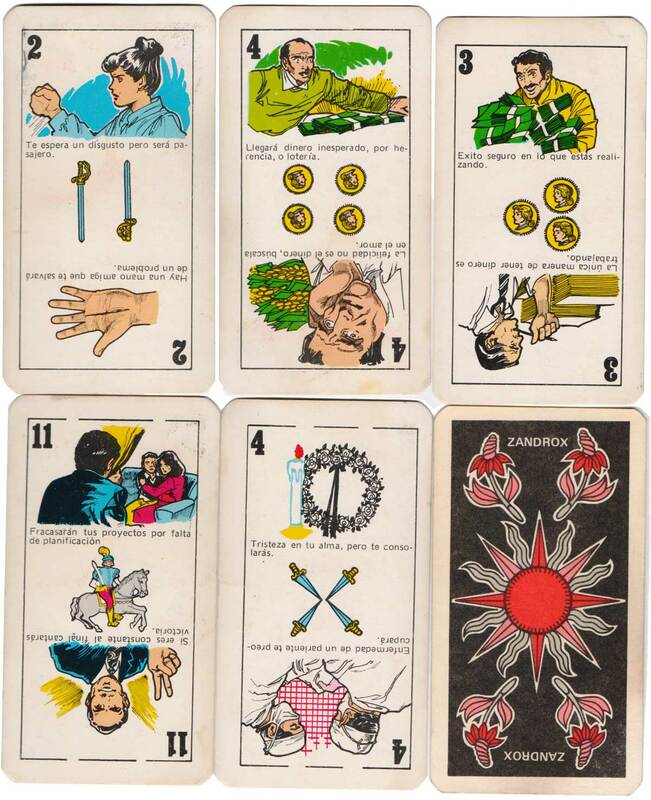 Each card features a miniature Spanish-suited playing card motif in the centre of the card, the ace of coins also has the legend ‘El Perico Baraja’. 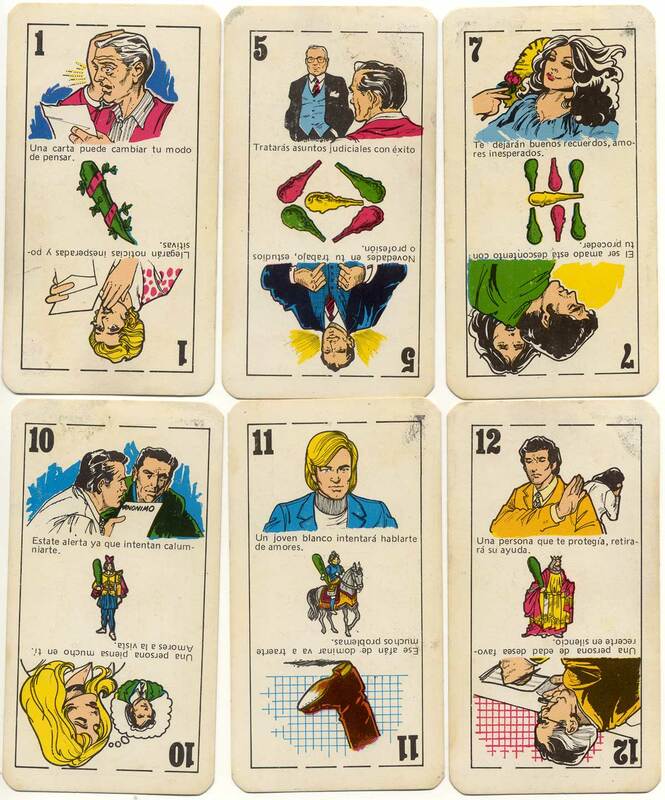 Whilst some of these playing-card motifs are based on Fournier’s Castilian pattern, others are based on OBD’s Cadiz pattern. 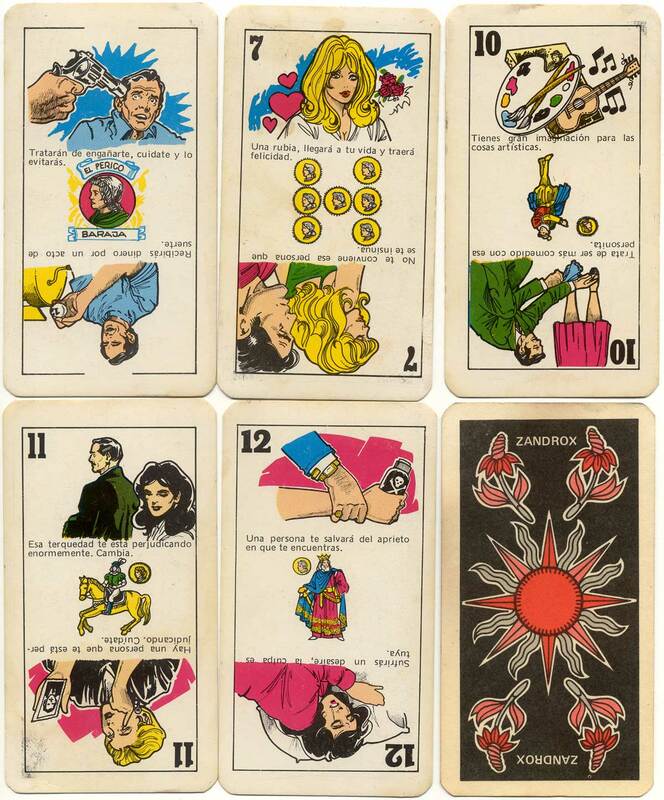 The ace of coins is the only card not to have an index number.